The University of Illinois Chicago Medical Center, Dr. Arvind Shukla and Midwest Neoped Associates, Ltd., agreed to pay $1.5 million to settle a medical malpractice lawsuit that alleged they failed to properly treat high bilirubin levels in a newborn resulting in permanent hearing loss. Attorneys at the Chicago personal injury and medical malpractice law firm Corboy & Demetrio represented the infant and her family. Born a twin and premature, a baby girl remained in the hospital for several weeks after her birth. While still in the hospital, she developed jaundice as a result of an elevated bilirubin level. She was placed under the bililight to bring down the level. Her condition stabilized but despite increasing signs of jaundice, no follow-up testing was done until two days later, when her mother demanded it. The bilirubin level at that time was 29, three times the normal level. She required two exchange transfusions of blood to bring her bilirubin down to an acceptable level. She suffers from permanent auditory neuropathy, or hearing loss, in one ear. She also has speech problems as a result of her hearing deficits. Plaintiff contended that the medical providers deviated from the standard of care in failing to get a follow-up bilirubin level and in failing to identify the increasing jaundice. This settlement allows the family to provide her with the necessary support and services she will continue to need. The University of Illinois Chicago Medical Center, Dr. Arvind Shukla and Midwest Neoped Associates, Ltd., agreed to pay the entire $1.5 million settlement. 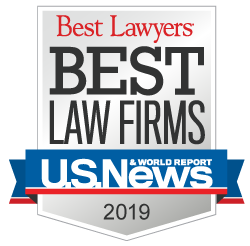 Named as a Top Law Firm by Chicago Magazine in 2008, Corboy & Demetrio is one of the nation’s premier law firms. The Chicago law firm represents individuals and their families in serious personal injury and wrongful death cases, and is renowned for its achievements in the courtroom and for its contributions to the community. The rights and concerns of its clients are at the core of Corboy & Demetrio’s practice. That dedication, compassion and relentless drive has resulted in exceptional service and exceptional results for its clients. The Chicago based firm has acquired more than $3 billion in settlements and verdicts and has attained more than 500 settlements and verdicts in excess of $1 million.